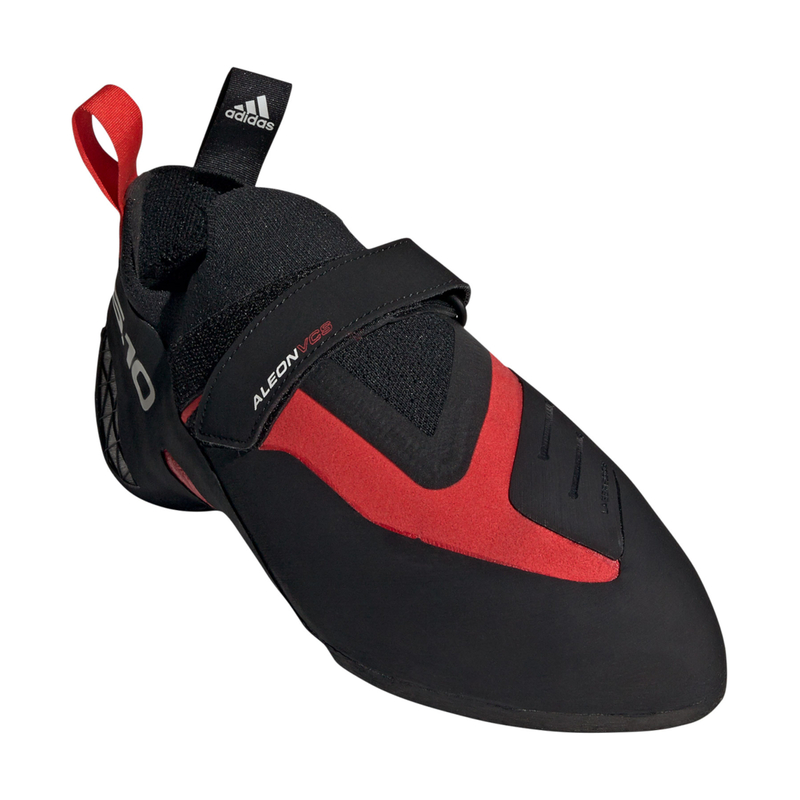 The Five Ten Aleon is an aggressive shoe designed for hard boulder problems with really small footholds. It's a powerful, extremely precise shoe which, thanks to Adidas' plethora of resources, features new materials and new manufacturing processes to improve its comfort, fit, and performance. 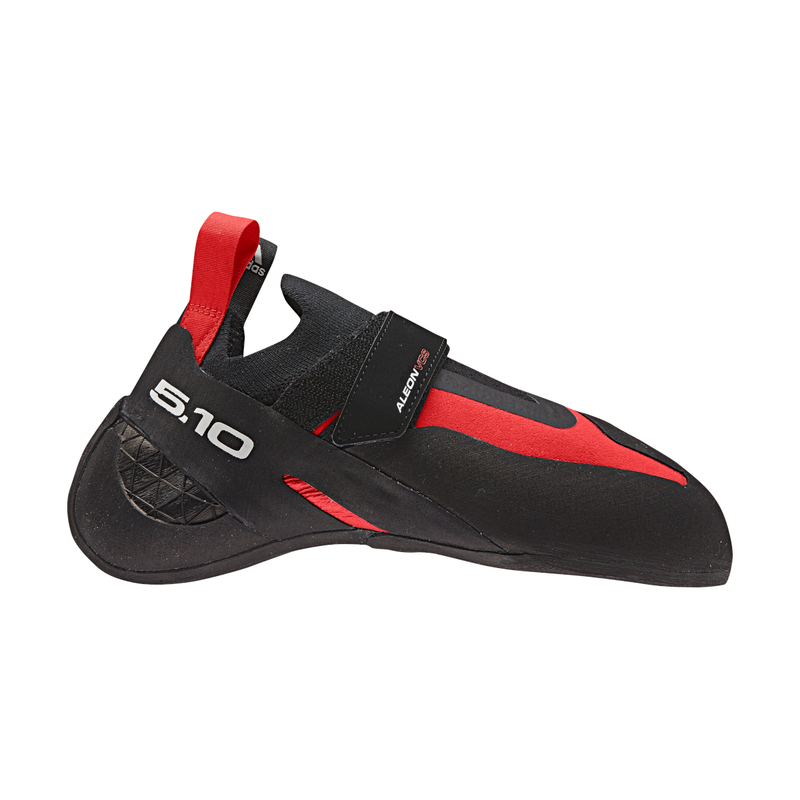 Traditionally, Five Ten's climbing shoes have been designed with a rounded toe-box. However, Five Ten's new shoe designer, Fred Nicole, a Swiss cobbler with years of experience repairing and dissecting Five Ten's climbing shoes, has designed the Aleon with a pointier toe and wider forefoot to really direct the shoe's precision towards the big toe. Nicole has also implemented a high arch and strong heel-toe tension to amplify the the big toe's power, making the Aleon extremely precise and powerful on edges and small footholds. One of the main tools Five Ten have borrowed from Adidas' toolbox is Primeknit, a four-way stretch material that's digitally-knitted into the shoe. 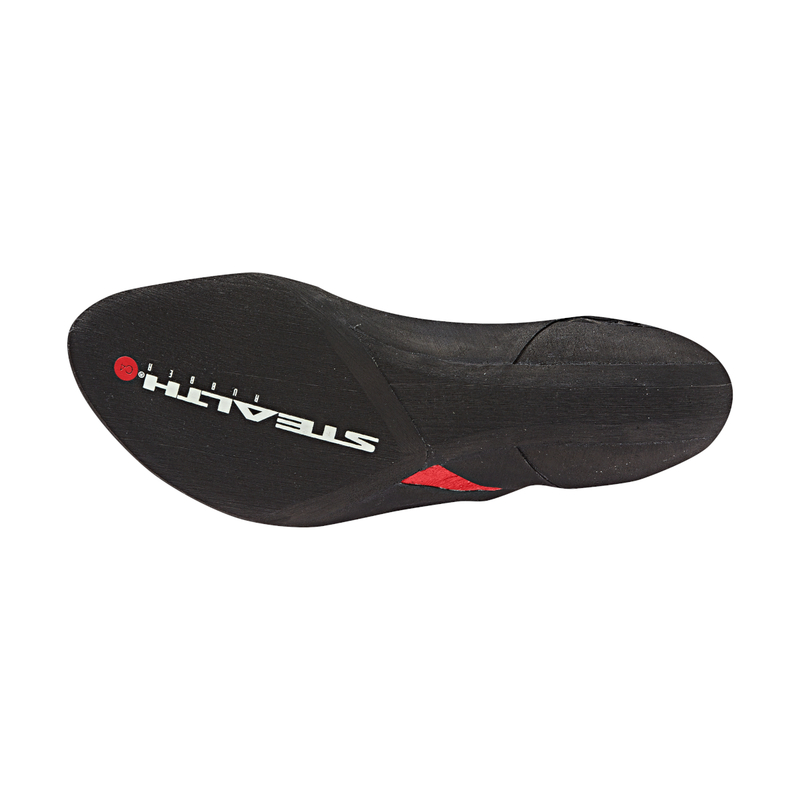 This allows Five Ten to fine-tune the amount of flexibility and support of the tongue. The result is a very tight-fitting tongue which, thanks to the extra flexibility, is still easy to take on and off.